2013: Gene Snyder US Courthouse Lightwell Courtroom Expansion, Louisville, Kentucky. This six-floor building served as a Post Office, Court House and Custom House and is an excellent example of Classical Revival architecture originally built in 1932. 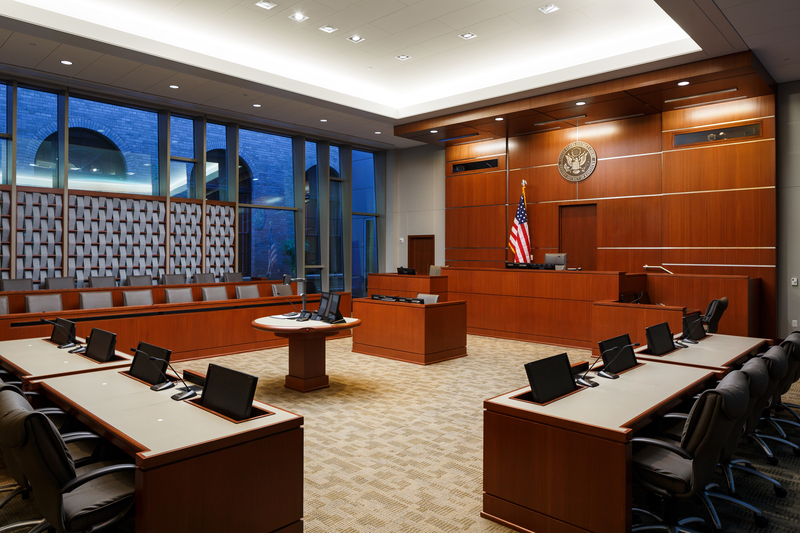 TA provided acoustical consulting services for the 5,800 sf Lightwell Courtroom. The project converted this open air space between two existing Courtrooms into a third Courtroom. With its glass side walls, the design team referred to the nested Courtroom as “The Jewel Box”. The room was designed so that there would not be any elevated sight lines into the Courtroom through the glass windows. By creatively splaying the glass walls, the acoustics were controlled within the Courtroom. 2014: Albuquerque Library, Albuquerque, New Mexico. 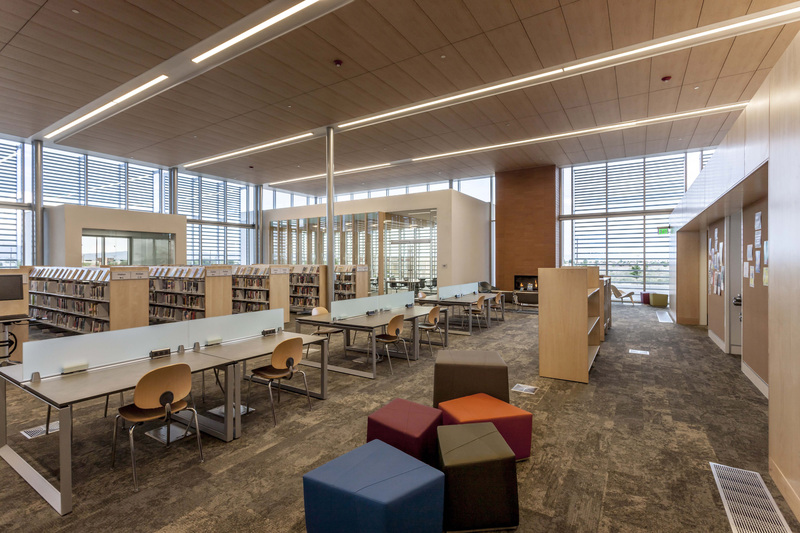 The 25,000 sf building located in Bernalillo County is a state-of-the-art, full-service library with community meeting spaces, study rooms, and computer access. It has become known for being a comfortable place to browse the collection of books, magazines, music, movies and more. The library also features the 1925 Gustave Baumann murals around the fireplaces. TA’s services included room acoustic, sound isolation, mechanical system noise and vibration control recommendations for the project.